Treat yourself with the gift of choice! 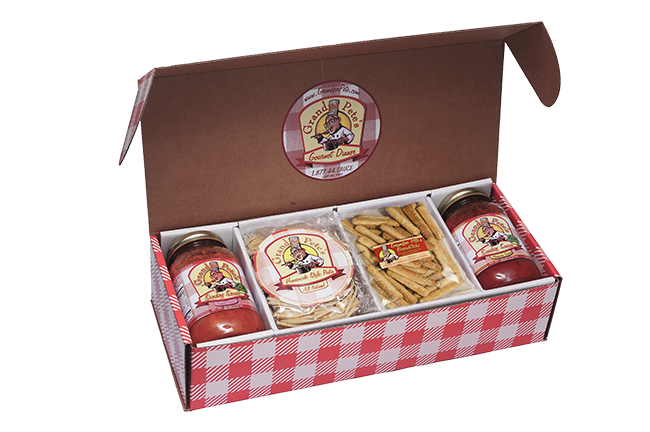 Choose two of Grandpa Pete’s delicious Sunday Sauce flavors to pair with crisp Italian breadsticks and homemade style pasta. 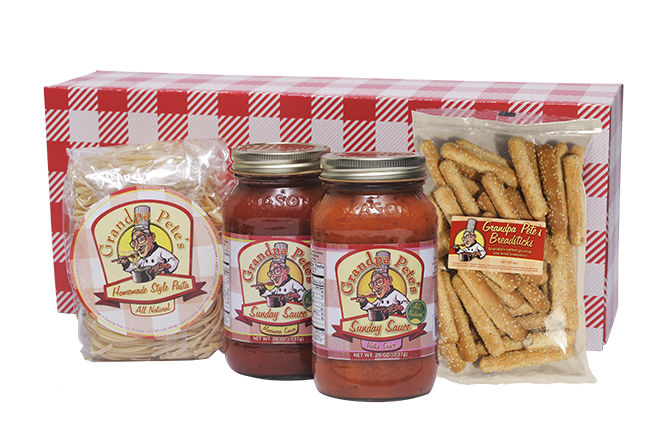 Each of these gourmet products is made with care in the Serro family’s home state of New York. Enjoy this versatile pack with your family or give as a gift and bring the taste of the Empire State to a loved one.